Yellowfin is a global Business Intelligence (BI) and analytics software vendor passionate about making BI easy. 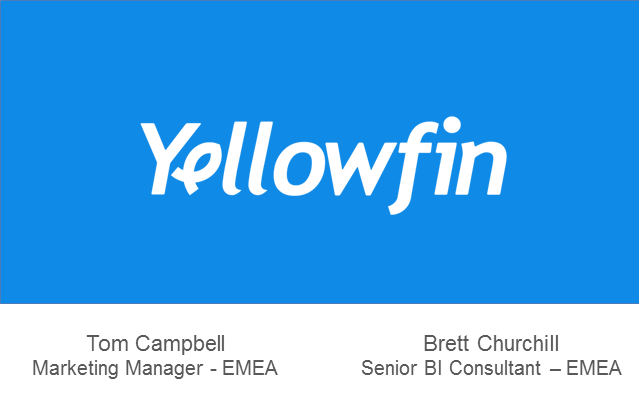 Founded in 2003 in response to the complexity and costs associated with implementing and using traditional BI tools, Yellowfin is a highly intuitive, 100% web based reporting and analytics solutions. Yellowfin is a leader in mobile, collaborative and embedded BI as well as location intelligence and data visualisation. This webinar is the next in the series following QFire’ Distributed Data Quality, showing the link between data quality and data visualisation.